Last week was crazy to say the least. I’m blessed to live in New York City, no buts about it. This is my home and its people my family. YES, for sure we have our share of “crazy uncles” but that’s what makes it great! I have to say Sandy helped me to revisit all I’m appreciative of. During this time it helps to remember all we have, health, family, friends, loved ones…these are what’s important. The food, the shelter, the power; all that will come back in time, but it’s now that we realize what’s important. Sometimes when we feel “knocked out” or just generally crappy it’s helpful to remember all that we DO have and take time to appreciate. It makes all of the “little” inconveniences seem less significant. It’s time to focus on all that’s good. Let’s all start this week out with a little extra appreciation for all we have. It’s time to let go of the complaining about the little and the even the “big” things and see the light. If what we thing about we create than we can help to change this natural disaster into seeing the good. 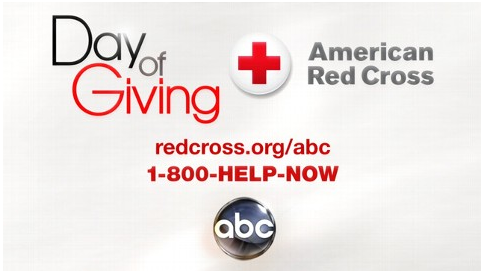 If you want to contribute to the rebuilding of NYC you can go to the ABC’s and The American Red Cross’s Day of Giving site. JUST TODAY (as of 5PM ET) they have raised nearly 11 million dollars! Ahhh, this is GOOD! No matter what challenges (even if it was too many cookies or lost workouts) last week brought, today is a NEW day and we can choose to create and see the light. This entry was posted in FIERCE SOUL, FIERCE- ISH and tagged #Sandy, #SeethegoodinSandy, love by GETFIERCE TRAINING. Bookmark the permalink.